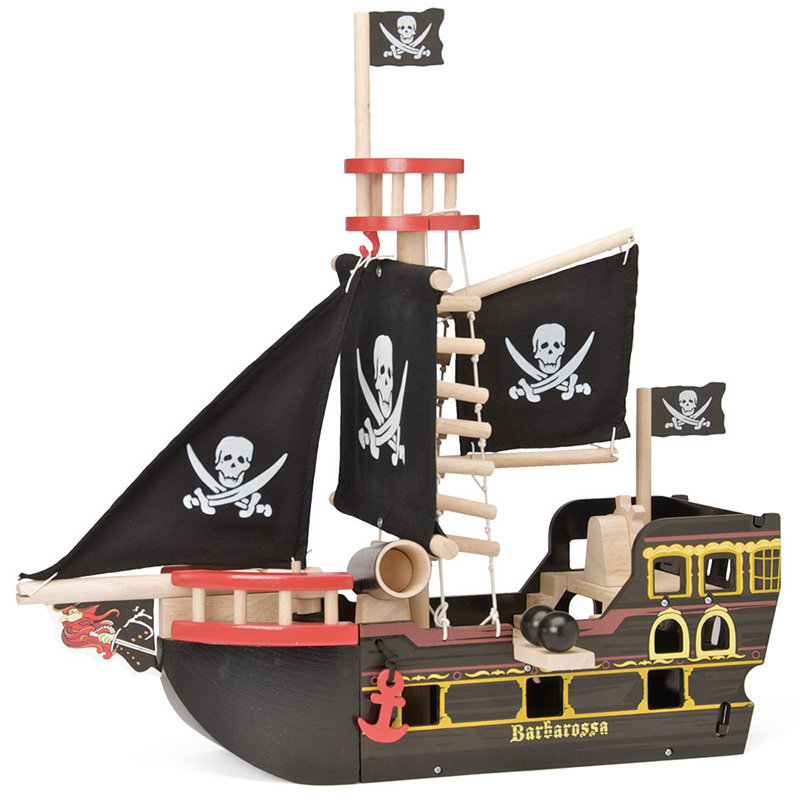 The Barbarossa Ship from Le Toy Van is a classic, black painted wooden pirate ship decorated with the skull and crossed swords and is ready to sail the seven seas on the hunt for the treasure! This fantastic ship has everything needed for Pirating Masters: cotton sails which can be taken up and down, a raising and lowering anchor, a rotating steering wheel, removable cargo hatch and the important removable plank. The Barbarossa Ship requires some home assembly but so simple that your little one will absolutely love to help! It is a great gift idea and will entertain any little kids for years to come! Approx Size: D: 19cm X H: 48cm X W: 49cm Note the figures are not included. Note: Due to Australian Toy Standard, the canon is not included in this set.